For 35 years I’ve driven through this beautiful state of Mississippi. Up in the Delta it’s very flat filled with cotton fields, alfalfa fields and the area shows off the skies just beautifully. 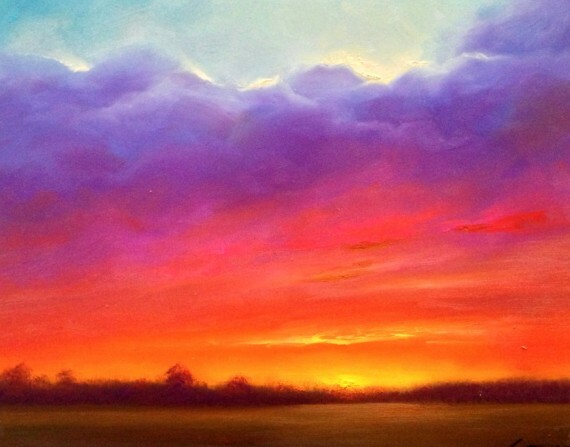 I never tire of painting sunsets. A field is like a fingerprint with no two alike…This was done up in the Delta one scorching hot summer evening. It’s a 16 x 20 oil on panel signed.